College dorm room essentials are a must when getting ready for college. 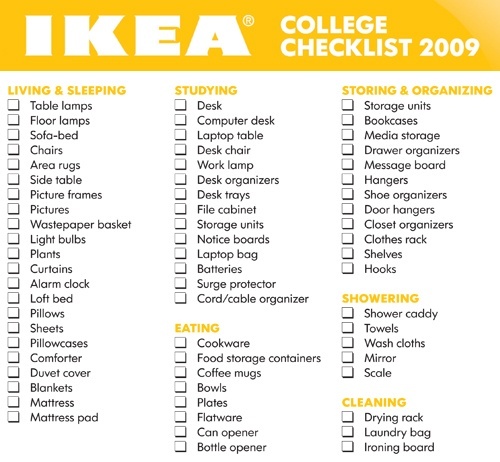 Packing for your first year of college is much bigger an endeavor than trying to include your entire school career on one tiny admission form. Countless freshmen carrying massive suitcases and boxes arrive at the dorms only to discover that they brought too much or forgot the essentials. Take a look at these 10 Top Back to School Essentials for college too! 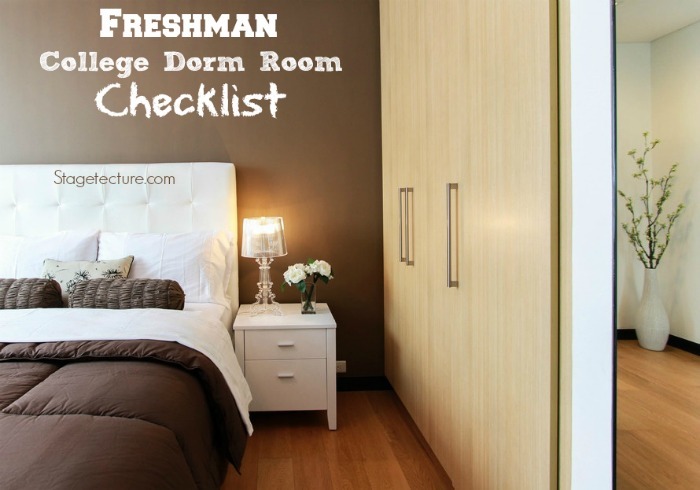 To help you get a good start, here are some tips for your upcoming college year in your college dorm. As space is at premium at college dorm rooms, resist the urge to carry all your favorite clothes. Few pairs of bottoms, twice the number of tops, a jacket or a sweatshirt and few pairs of shoes should be enough. In order to carry weather appropriate clothes, it’s wise to find out the average climate for each season and pack accordingly. You will also have limited desk and counter space, so make sure to limit items like picture frames and anything else that requires a place to sit. Most likely you will be going back home during the holidays or your parents will pay you a visit, so you will have an opportunity to exchange items for the changing season. Comfort items make you feel like at home. While it’s advised to carry such items, you must limit them to the ones you use most often. Share the responsibility with your roommate of bringing stuff like television, fridge, dvd player, stereo and more. Before packing any item, think twice if you really need it. For instance, if you can set an alarm on your mobile, perhaps you don’t need an alarm clock. Headphones can be a great help when studying and writing papers. Moreover, if possible try getting a look at your dorm room or call the college authorities to find how big the room is and what all comes with it. When preparing for a life’s new journey, it’s highly possible to forget stuff like medications, first aid box, and important documents and papers. If you are planning to take your car along, do remember to carry your driving license, car insurance, and auto registration. While you should try to create a comfortable living space, unnecessary items will only clutter your room and will eventually lead to a stressful environment. So, instead of trying to replicate your room at home, pack light and smart. For more college dorm room ideas on Stagetecture, click here.